There are three important factors that determine the success of a race car. One is horsepower, the second is the suspension, and the third is the driver. If one of these aspects is not up to the task on any given day, races will be lost. We’ve already talked about horsepower for Project True SStreet (LS-build Article One, LS-build Article Two, and LS-build Article Three), so this time we want to talk about the suspension. We’ll talk about the driver at a later date. The Moser straight-axle conversion that is destined for installation under Project True SStreet. The rear suspension that will be used under Project True SStreet will feature a Moser straight-axle conversion that will be suspended by a set of JRI coil over shocks with Eibach springs. But, we know what you’re thinking? “How did you know which springs you’ll need?” Before we ordered our springs, we did some research to find out what other racers with a combination like ours are using, and we talked to the folks at Eibach. Once we had our information gathered, were able to get us just what we needed. We needed spring number 1000.250.0150. They are Eibach's ERS Linear Main Spring with a 150 pound spring rate. The shocks are JRI's Sportsman series. Choosing a spring for use with a coilover shock absorber begins by making two important decisions. First, when it comes to a coilover shock absorber, you have to know what kind of parameters your vehicle will be operating. An adjustable shock absorber like the Sportsman Series we’re using from JRI, allow the car’s handling qualities (compression and rebound) to be adjusted separately. Our focus revolves around cars (not off-road vehicles like trucks), and vehicles used solely for highway driving have a specific set of needs that are different from a car that routinely hits the 1/4-mile dragstrip. While a non-adjustable shock is fine for a street-driven car, if you are building a performance car that needs to corner or launch, then you will want a shock that has some adjustability. A major factor when having a suspension using coilover shocks, is finding the correct spring to work with the shock. Choosing the correct spring involves knowing the weight it needs to support, and how the suspension will work. In other words, you need to know what spring-rate you actually need. Always keep in mind, the spring needs to support the weight of the car, while the shock is just to control spring movement. Choosing a spring with the correct spring rate will allow the car to properly transfer weight when launching. Spring rate refers to the amount of weight that is needed to compress a spring 1-inch. If the rate of the spring is linear (non-progressive), its rate does not changed as load is put on the spring. For example, if you have a 200 pound-per-inch spring, it will only compress 1-inch when a 200-pound load is placed on the spring. If you add another 200 pounds of weight to the spring, it will compress another 1-inch. Although the spring is now carrying 400 pounds of weight, the rate of the spring did not change. A progressive-rate spring allows a single spring to exhibit multiple spring rates. Variable rate (progressive) springs are easy to identify, because one end of the spring is wound tighter than the other end. As the spring is compressed, the coils on the tightly wound side will collapse first, coming into contact with each other. When this happens, the rest of the spring starts to compress at a secondary, or higher rate. When compressing a progressive-rate spring, the initial rate might only require 60 pounds of force to compress it 1-inch, but after that, the next 1-inch of compression could require another 75 pounds, and an additional 100 pounds could be required for the third inch, etc. In a nutshell, progressive-rate springs become stiffer as they are continually compressed. The correct spring rate is affected by shock mounting. Mount the shock at an angle, and your spring rate requirement increases. Something to keep in mind, is that spring rate will actually decrease the more a coilover is mounted away from vertical. For example, if a coilover is mounted at 45 degrees, its spring rate is cut approximately in half. This means the greater the angle the shock and spring are mounted, the higher the spring rate required to support the same vehicle weight. 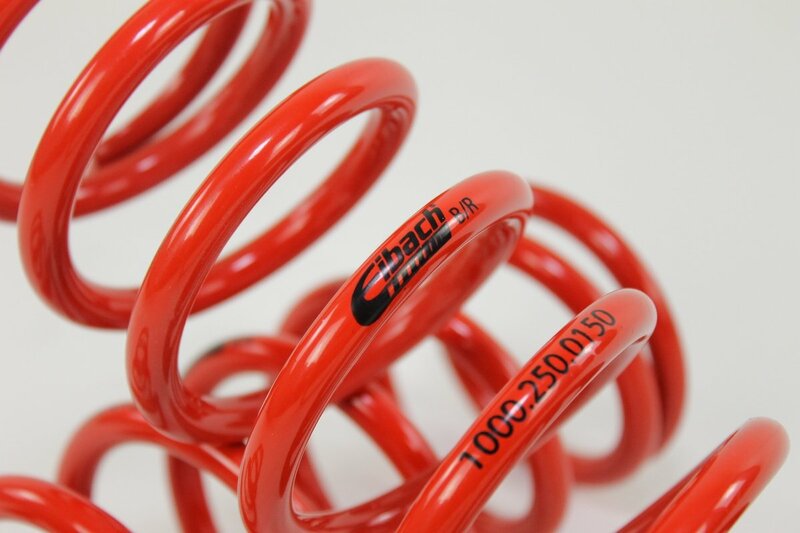 While this brief outline gives you some insight into choosing springs, Eibach has an online worksheet to help make sure you get exactly the spring you need. Once you have selected the correct coilover springs, it’s time to do some testing and tuning. 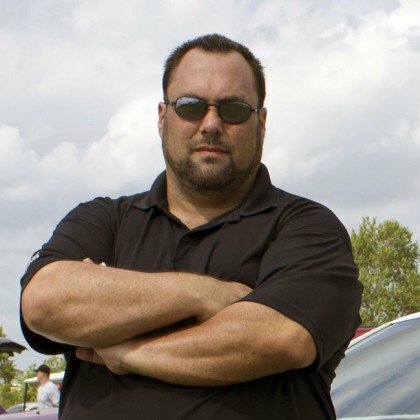 If you’ve followed the guidelines above, filled out the Eibach worksheet, then your spring rates should be correct, and any suspension adjustments moving forward should be small and incremental.